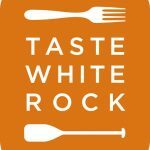 We’re lucky to live in a community with so many varied retail stores, and the 12 Days of White Rock is our celebration of these amazing shops! From December 4th to 15th, we’ll feature a different store on our Facebook page. Be sure to check our page each day for your chance to win gift certificates to some of the amazing shops and restaurants around town! Also, stop by the featured stores to fill out a ballot for your chance to win one of many prizes. We’ll be giving out over $2000 in prizes from Health Express, Live Yoga, Angelic Teapot, Grey Haven Hobbies, Nature’s Fare, Tapestry Music, and KDK Clothing- don’t miss your chance to win some amazing prize packs! There’s no better place to shop for Christmas gifts than White Rock during the 12 Days of White Rock. Be sure to check out the many shops and services! © All rights reserved. Website designed by Megan Nakazawa.